*full disclosure: an early screening of this movie was provided by Alliance Films. Directors: James Mather, and Stephen St. Leger. Writers: Stephen St. Leger, James Mather, and Luc Besson. Cast: Guy Pearce, Maggie Grace, Peter Stormare and Vincent Regan. One really cannot help laugh at a hero named Marion Snow (Guy Pearce). It is hard to be a tough guy with such a feminine name. And some of the best lines in Lockout aka Maximum Security 1 come from Snow. However, the choppy edits from directors James Mather and Stephen St. Leger threaten to blow this prison space station out of the sky. This film will trailblaze April 12th in theatres nationally and film fans might want to read more reviews on this film before deciding on whether to see it on the big screen. The poor film qualities such as generic music, continuous use of short scenes and poorly developed characters and situations almost completely sink the film. But, there is something about Pearce's performance that made this movie enjoyable. After all, how can anyone with a funny bone not laugh at Snow's retort to an interogator that sidetracks his investigation of a hotel incident: "it was coupon night, and I was trampolining your wife" (Film Review). Snow is your hostile hero or anti-hero. He has a sneer and a charm similar to Snake Plissken in Escape from New York. Only in Lockout, the hero is a little more comedic rather than looming, dangerous presence. And this is really the film's central charm. A hostage rescue, prison riot and a series of experiments on prisoners form the plot and subplots. 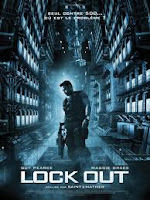 Yet, Lockout seems like a semi-developed rom-com housed in an action thriller. Snow is constantly playful with the President's daughter, Emilie. And Snow's interactions with the President's daughter, the kidnappee, are the highlight of the film. 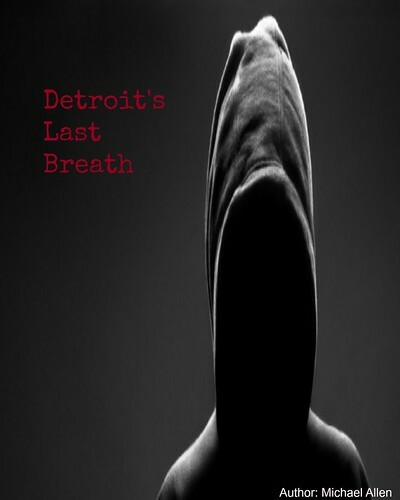 Unfortunately, the editing style of this film is a series of quick cuts and edits. There is no fluff to be found here. This is a good style of shooting, generally. Over time, though, this poor use of scene and space begins to distract as scenes are rarely held for longer than one to two minutes. This style of filmmaking is not conducive to creating great characterizations. Plots seem a distraction as well with one action scene overlayed onto the next. The directors almost seem uncomfortable in holding a scene for any length of time and the potential for emotion is lost. Instead, the focus is on razzle dazzle with computuer generated images acting as a crutch to a film that is limping across the film's storyline. There are some other film elements that also hampered this film critic's experience. The film's music is utterly generic. Where was the tense score during fight scenes? Scenes bounce around and characters seem to off themselves or are offed to keep the cinemascape simple. And this film is quite simple. Lockout really boils down a rescuing of the damsel in distress, even if Emilie is a burgeoning humanitarian with an attitude. Villains are not developed outside of sibling rivalry and military strategy involves sending wave after wave of troops into the void. The film generally comes across as silly. And some of that silliness will generate laughs. Lines between the President's daughter and Snow such as "Shhhhhhh (Snow). What, did you hear something? (Emilie) Noooo. I’m just enjoying the silence" kept this critic laughing. This line is delivered after a rant from Emilie. Pearce is truly remarkable in this film for comedic delivery. But, is that enough to make the film watchable? The answer to this depends on the viewer's mood and expectation. If your expectations are low and you are in the mood for something light and semi-humourous, then you should seek out this movie. If you are in the mood for a terrifying thriller, then take a retro trip back to Escape from New York or watch the recently released Pandorum. This second film is also a sci-fi thriller. One character and one strong actor are not enough to carry an entire film and Lockout seems to just fall from the sky. And there might not be anyone there to catch it. Overall: 6.25 out of 10 (a lot of emphasis on Snow, but what of the other characters, the directing style is truly for the ADHD generation, lots of flash bang). *in fairness, many of the minor actors are good as well.